I am updating and re-posting this series on redeeming American Airlines miles in light of the fact that right now it’s super easy to earn 146,000 American Airlines miles. 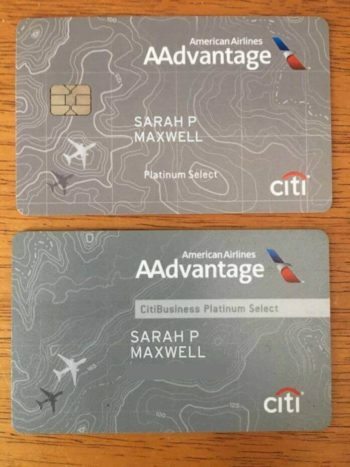 For a limited time, the Citi /AAdvantage Platinum Select MasterCard and the CitiBusiness / AAdvantage Platinum Select World MasterCard are both offering 50k bonus miles for spending $3,000 on each card within three months of opening it. The new Barclaycard AAdvantage Aviator Red World Elite MasterCard is offering 40k bonus American Airlines miles after just one purchase and paying the annual fee of $95. You can sign up for all three in the same nine day period (you can be approved for no more than one Citi card in an eight day period) and earn at least 146k American Airlines miles within three months after meeting the bonus requirements. Domestically, American Airlines miles can be redeemed on American Airlines and Alaska Airlines flights. Award space on both airlines is searchable on aa.com. Here’s how to search aa.com. American miles can book all the exact same award space that Alaska opens up to its own members at the Saver level. American Airlines occasionally also flies three-cabin 777s between Los Angeles and Miami. These have fully flat First Class (50,000) and angled lie flat Business Class (25,000), though the 777s are being refurbished to have flat bed Business Class and no First Class. All other planes, including all Alaska Airlines planes, feature only two cabins. The forward cabin is called First Class, features regular seats, and costs 25,000 miles each way. So far, every price listed is the MileSAAver or partner award price. All Alaska space available to American Airlines miles prices out at the MileSAAver partner award price. Not all American Airlines flights are available at the MileSAAver level. Some price out at much more expensive AAnytime levels that you should avoid. American Airlines devalued their award charts last March. These are the big changes that affected domestic award pricing. The prices I listed above for First Class on a three-cabin aircraft used to be 32,500 miles each way. That has unfortunately increased to 50,000 miles each way. These are MileSAAver prices that apply to partner airlines as well as the cheapest level of American Airlines awards. Just like domestic awards, some price out at more expensive AAnytime levels to Alaska and Canada and should also be avoided. Again, these prices do not apply to Alaska flights. The Points Guy wrote an informative article about the best routes for AA’s new 7,500-Mile award level— I recommend reading it if you travel often within the 48 states and Canada. Pricing of short distance domestic awards was an area American Airlines was lagging in previously. Now their prices are more on par with United and Delta, who also differentiate between short-distance versus long-distance domestic awards. In general, I find worsening award space on most domestic routes with American Airlines miles. This could be because a stronger economy leaves fewer empty seats or because US Airways management took over, and US Airways always offered less award space than American. I wish I could be more specific about award space, but there are tons of routes, so instead of generalizing, just go search the routes that interest you. How about the premium transcontinental flights with flat beds? Right now, Business Class and First Class space on American Airlines’ A321T service between New York and Los Angeles and San Francisco has some periods of time with very regular award space. First Class features 10 seats in a 1-1 configuration and looks like one of the nicest ways to pass a 5-6 hour flights out there. In all four directions, I see plenty of First Class award space. All calendars below are for one traveler. First Class award space is wide open starting the end of this month, with at least half the days available of every month through January 2018. Many months have more than half the days available, like this period in mid July through mid August. Business Class follows a similar pattern. First Class between San Francisco to New York is spottier than the other direction, but starts to open up in a bit in mid May. Even then, I’m not seeing much more than seven/eight-ish days out of the month with a First Class award seat through January 2018.
Business Class is non-existent until mid March, but after that opens up much more than First Class. By midsummer you have way more than half the days of the month available. There isn’t much First Class space left this month, but click to March and you’ve got a lot more options–half the days of the month. First Class award space follows that pattern through January 2018, with an occasional span of space nearly every day. Business Class is sparse until mid May when it opens up and becomes more available. Overall there is less Business Class than First Class available, except for the holidays when Business Class space becomes widely available and First Class space drops off. There’s not one Business Class nor First Class seat available until March. Business and First Class space is spottier on this route, but begins to open in April. The summer and early fall has half the days of the month available in First Class, but there’s almost no space around the holidays. Again, Business Class space follows a similar pattern to First Class, but with less seats available. For all the routes, award space on a day might mean one flight has one seat or it might mean three or more flights have one or more seats each. There are now more instances in which I would book a domestic award with American Airlines miles than there were pre-devaluation, because one of the positive changes to American’s award chart was the addition of a 7,500 mile domestic award price on short, direct economy flights. Although I would probably not redeem American Airlines miles on its Transcontinental First Class anymore as that shot up in price to a hefty 50,000 miles. In general, you should mainly be using American Airlines miles for international awards and booking domestic awards with Avios or Southwest points. For a limited time, the Citi /AAdvantage Platinum Select MasterCard is offering 50,000 bonus American Airlines miles after spending $3,000 in the first three months. The CitiBusiness / AAdvantage Platinum Select World MasterCard is offering the same bonus. 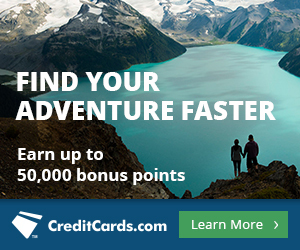 The Barclaycard AAdvantage Aviator Red World Elite MasterCard is offering 40k bonus American Airlines miles after just one purchase and paying the annual fee of $95. By meeting the $6,000 total spending requirement + putting one purchase on the Barclaycard and paying its $95 annual fee, you’ll earn at least 146,000 American Airlines miles, which is nearly enough for three transcontinental flights in First Class (150k). 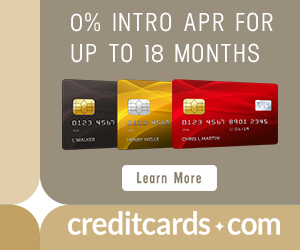 If you decide to open all three cards, open the Barclaycard first, then either Citi card, and then wait eight days to apply for the second Citi card. For example, on day 1 you apply for the Barclaycard and then immediately following, the personal Citi card. On day 9 you apply for the CitiBusiness card. Previous articleNo Initial Hard Credit Pull for Existing Amex Cardholders? “32,500 miles each way in First Class on three-cabin aircraft (only operated by American Airlines on certain flagship routes” and “All other planes, including all Alaska and US Airways planes feature only two cabins.” are incorrect. You failed to mention the hands-down best “Awards within the continental United States, Alaska, and Canada” which is the CX JFK-YVR flight. I just wanted to say thanks for this ongoing series. I am getting such an education and it’s only because I was checking this site multiple times daily that I caught the news about AA website European award space glitch. I managed to snag two business class tickets to Paris and London for me and my wife. She’s never been to France and I’ve never been to Europe. We both can’t wait! Have fun on that trip! Thanks for writing this series; much enjoyed! Do you plan on discussing Reduced Mileage awards in this series? I just booked a roundtrip award from CVG-LAX for 17,500 AA miles, booking with Avios or Southwest points would have been more that 17.5k. I think Reduced Mileage awards can be a great option for longer distance Domestic flights. I personally only book using AA miles for longer distance flights. CVG-DFW-LAX-ORD-CVG is over 4,000 flight miles roundtrip. Just noticed I have seen this type of booking not mentioned in previous discusiions on booking AA awards. Scott you seem to be missing a very important aspect of Economy Saver seats. Unless you have AA status, these seats CANNOT be upgraded, even if you’re willing to PAY for Main Cabin Extra. AA won’t take your money, you are STUCK in 30″ pitch seats with your knees against the seat in front. And if that seat reclines? Good luck doing anything at your seat. I guess I don’t see much problem with sitting in economy if you redeem for economy. Thanks for the shout-out on my AA 7,500-mile route article! That was a heck of a piece to research, so I’m glad to see that people are finding it helpful!